Phoenix is one of the nation's most popular retirement destinations, especially during the winter months when the temperature is consistently a balmy seventy degrees. What makes Phoenix even more appealing to retirees is the abundant of magnificent retirement communities to choose from. Whether you are looking for a community with various levels of care so you never have to move again, or, on the opposite spectrum, an active 55+ community that epitomizes luxury at its finest, Phoenix has it all. Below is a list of independent living communities through Phoenix and Maricopa County. Royal Oaks is Sun City's only Life Plan retirement community offering Type A Lifecare, Royal Oaks is on 38 immaculately landscaped acres and offers 360 independent living homes and apartments ranging from 1900 sq. ft. to 600 sq. ft.
Belonging to the family-owned umbrella of Senior Lifestyle, The Woodmark at Sun City offers graduated levels of senior care from independent living to assisted living to memory care assisted living. Are we proud of our 28 years of experience in senior living? You bet we are. But, to us, what really matters is your experience living at one of our 32 communities. We do everything with that idea clearly in mind.  Choose from independent living, on-site assisted living or award winning memory care services. Residences range from studio apartments to spacious 2-bedroom suites in a lush courtyard setting. We offer a full schedule of events and self-enriching mind and body fitness classes. It’s all part of our culture of personal choice. OPENING – FALL/WINTER OF 2017 COPPER SPRINGS RETIREMENT. Copper Springs will bring Residents a life of luxury. Our all-inclusive monthly fee, with no hidden costs, allows Residents to relax and set a course for a dream-filled retirement. Residents can choose from a variety of spacious floor-plans, join in daily leisure activities, relax in community lounges, and savor a variety of delicious foods. Copper Springs apartment homes will feature today’s trends with open layouts, larger rooms, walk-in closets, full kitchens and more. The community will be a village unto itself with a theater, shops, salon, exercise and game room, and grab-and-go Chef Pantry, to name a few. With no buy-in or long-term leases, the month-to-month rent model makes it easy for seniors to live life worry-free. To provide residents the very best in care, Copper Springs will bring peace of mind and choices while eliminating the surprises of home ownership. The Palazzo is a full Continuing Care Community offering Independent Living, Assisted Living, Skilled Nursing and Memory Care. At The Palazzo, we are able to cater to your needs whether you are looking for independence in an environment with social activities, wonderful meals, housekeeping and care as needed; Assisted Living for those requiring 24/7 care and a personalized care plan; Skilled Nursing for those being discharged from a hospital stay and still in need of rehab or more long term care; Memory Care for your loved ones who will thrive more in an environment specializing in care and activities for those with Alzheimer’s/Dementia. Welcome to Overture, a 55+ active adult apartment home community designed with you mind. Lifestyle and services are the key pillars of the community and this is what distinguishes Overture Kierland from other communities. Residents are able to live a maintenance-free, lock and leave lifestyle with the added advantage of a central location. This vibrant community consists of active adults who seek to enjoy life and an inspired next chapter of their lives along with their friends. The community’s on-site team works directly with local partners to assist residents with locating additional services such as housekeeping, personal trainers, dog walkers, meal and grocery delivery, transportation with Lyft services and more. Renaissance, a senior living community in Sun Lakes, Arizona is conveniently located near Chandler, Gilbert, and Mesa about 22 miles east of downtown Phoenix. Renaissance is a world-class independent, assisted living and memory care community. Renaissance offers various levels of care to meet your needs in an elegant and sophisticated community. Within the luxurious community, you will discover impressive amenities, well-appointed residences and outstanding services for our residents and peace of mind for their families. The Citadel is a Continuum of Care Campus providing Independent and Assisted Living, Home Health, Skilled Nursing and Hospice Care. At The Citadel, you will find that our warm, dedicated staff are committed to creating a community you will be delighted to call home. With no buy-in fees and a convenient month-to-month lease, out residents have the flexibility, freedom and support as their needs change. The concept for The Manor Villages evolved over a decade from one man’s determination to develop senior housing with a quality lifestyle. Spurred to action by the changing needs of his mother Birdie Viola Mann, our owner and CEO Dr. Garth Mann, personally visited almost 70 senior housing facilities across Canada and the United States. From those visits he refined and improved on what he saw, creating The Manor Village Life Centers of today. In our warm, homelike environment, our friendly, customer-oriented staff provides a maintenance-free, independent lifestyle with personal care services available for those in need of assisted living or memory care services. The Gardens at Ocotillo provide premium independent living, assisted living and memory care in Chandler, Arizona. Our new community delivers affordable luxury with At Your Service hospitality and concierge services. Surrounded by the stunning McDowell Mountains to the northeast and the sparkling city lights to the southwest, Andara Assisted and Independent Living is a jewel in sunny Scottsdale, Arizona. Allow our experienced service staff take care of life’s little necessities while you soak it up the way you’ve always wanted. As a family-owned and operated company, Senior Lifestyle offers a level of attention, care, and compassion that is unmatched. We love building relationships with our residents, and we communicate with families to ensure that they are always in the know. Our retirement living communities are collaborative, as we are always working together, looking out for one another, and treating everyone how we would want to be treated. We are family owned and operated by Koelsch Senior Communities caring for seniors since 1958. All of our properties specialize in caring for those with memory loss. We offer long term living options along with providing day stay care and respite care. We have on-site 24/7 nursing staff, an engaging activity department and a beautiful, relaxing space to call home. We also offer a variety of care options to meet all the needs of the resident and the entire family. You can call us HOME! Find luxury at Maravilla Scottsdale—Neighboring the Fairmont Scottsdale Princess resort, in the heart of Scottsdale, Maravilla offers you resort retirement living like no other. Maravilla’s thoughtfully designed 25-acre campus blends outstanding architecture and sophisticated design, unparalleled lifestyle opportunities and the comfort and convenience of a full-service continuum of care to accommodate your needs as they grow and change. Discover Maravilla today! At McDowell Village, we understand the importance of providing world class service! Our staff takes pride in promoting physical, intellectual, emotional and spiritual wellbeing to ensure that our residents are continuously growing and moving forward in happiness and health. Centrally located in Scottsdale, Arizona our warm and welcoming senior living community is place you'll be proud to call home. For over 30 years, Scottsdale Village Square had been dedicated to promoting the highest quality of well-being and health to our residents. Offering a full range of care and services including independent living, assisted living, and rehabilitation services, Scottsdale Village Square is a continuum of care retirement community that takes pride in servicing you. Orchard Pointe communities offer assisted living, independent living and memory support lifestyle options. Each location employs a full-time, Registered Nurse that oversees the care needs for every resident at their community. Care plans are customized based on the resident's abilities, needs and wants.